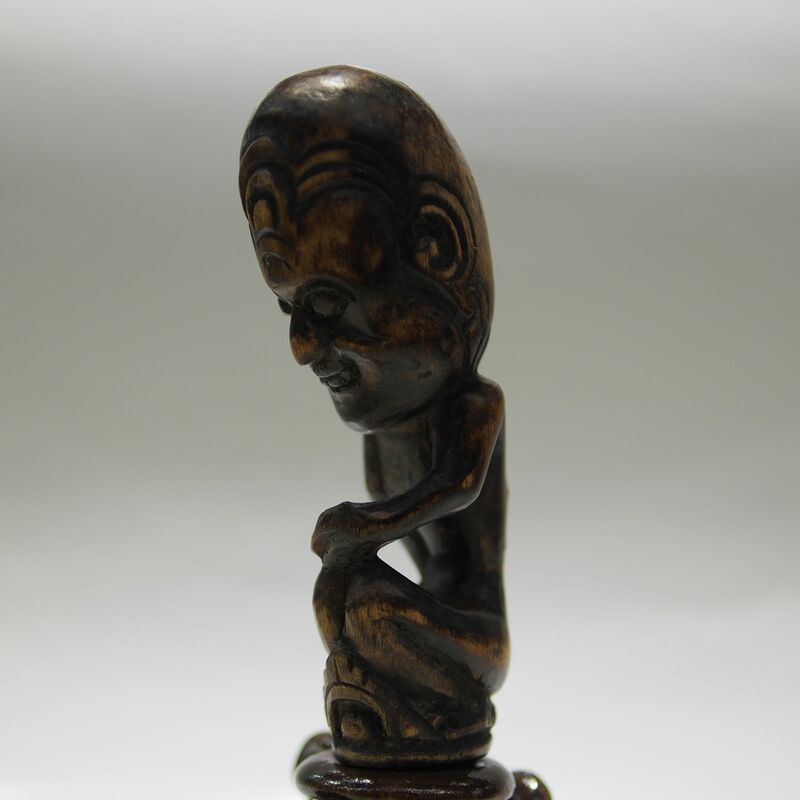 This beautifully carved figurine belongs to the datu (shaman) of the Batak tribe in Sumatra. It is the finial of a tungkot malehat, a ritual staff used by the datu. The tungkot malehat consist of the kneeling figure as well as a rattan or bamboo staff (which unfortunately is missing). Traditionally, these magic staff is carved by the datu himself, they are powerful supernatural weapons for fighting off evils spirits and also has the power of healing. During the ceremony the datu would enter into a trance while holding the staff which would aid him in the ritual.